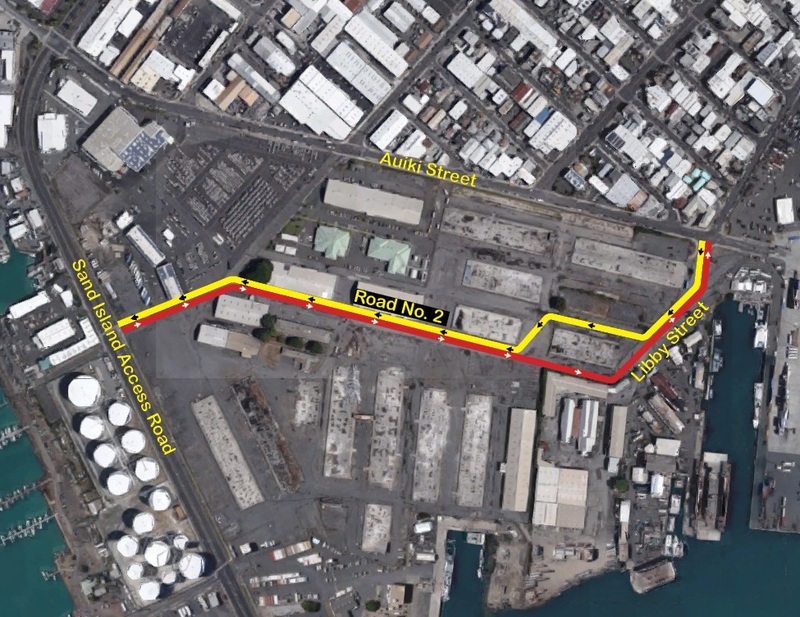 HONOLULU – The Hawaii Department of Transportation (HDOT) opened a newly dedicated roadway that will facilitate the efficient movement of goods through Honolulu Port facilities, while easing congestion on surface streets for the public. The road is a vital component of HDOT’s Harbor Modernization Plan (HMP), codified as Act 200 (2008). The interior roadway (known as “Road No. 2”) was revitalized at low cost and repurposed to divert containerized traffic and cargo from public roads onto a dedicated, internal roadway system through the Kapalama Container Terminal (KCT). As a result, nearly 1,600 trucks a day will no longer be on roads like Auiki Street, which will prevent traffic and save time for nearby businesses, customers and residents. Road No. 2 access (see map linked below) is restricted to cargo transport only. Public traffic is prohibited. HMP improvements are designed to support the State’s economic prosperity and quality of life as well as promote the well-being of our state’s cargo, fishing and passenger cruise industries, other maritime related service and support activities, and the enjoyment of certain waterfront facilities by the general public. In 2008, the Legislature found it imperative to the public interest to move forward with key harbor modernization projects, in particular, the Kapalama Container Terminal, based on a 2005 study commissioned by the Hawaii Harbors Users Group (HHUG), an incorporated, non-profit maritime transportation industry group formed in March 2005 to help craft a common vision on Hawaii’s harbor priorities. The cost of the project and improvements was reduced to $150,000 as much of the work was completed by Harbors Division personnel. 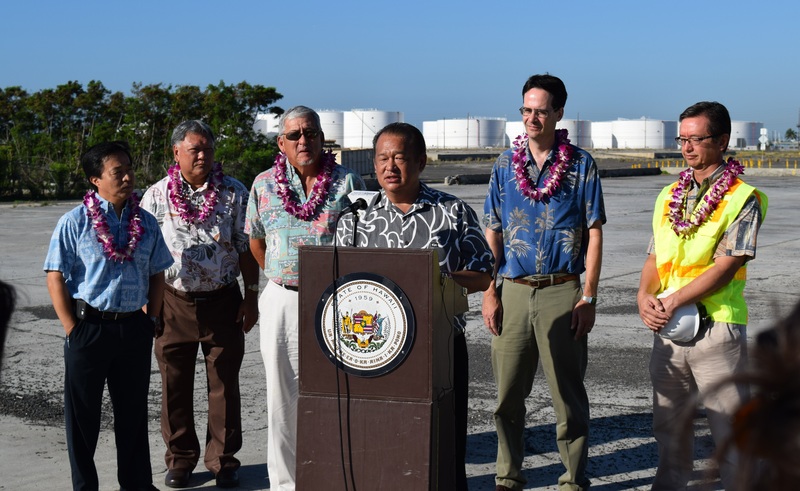 Several key projects will be coming on line soon that will contribute to an improved and upgraded port system, enhancing HDOT’s ability to effectively manage and operate a statewide commercial harbors system that facilitates the efficient movement of people and goods to, from and between the Hawaiian Islands. Hyperlinks to the route map and photo. More photos available upon request.